CR Onsrud wanted to show off their 5-axis Qube CNC machine at trade shows, so they got in touch with Coastal Enterprises to throw some ideas around. 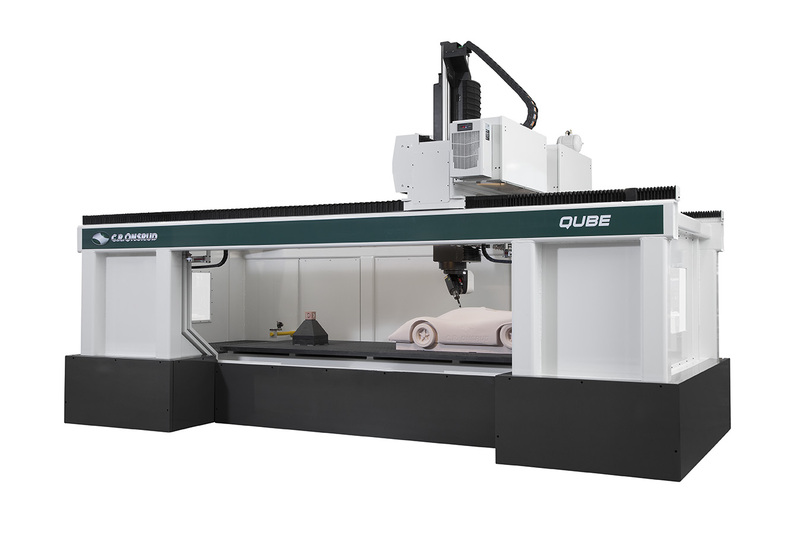 Onsrud regularly uses Precision Board as demo material on their routers, but they wanted to really highlight the capabilities of the Qube for high-speed machining and trimming of advanced materials used for aerospace, automotive, marine, defense and pattern shops. They decided they would fabricate a prototype of the Porsche 917k out of a custom-bonded Precision Board block live at IMTS 2018. This is how they did it. 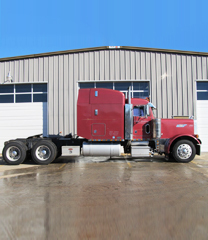 While CR Onsrud sent a detailed drawing to Coastal Enterprises that laid out what the dimensions of the custom-bonded block would need to be, customers can submit anything from a rough sketch with dimensions all the way up to a detailed drawing. 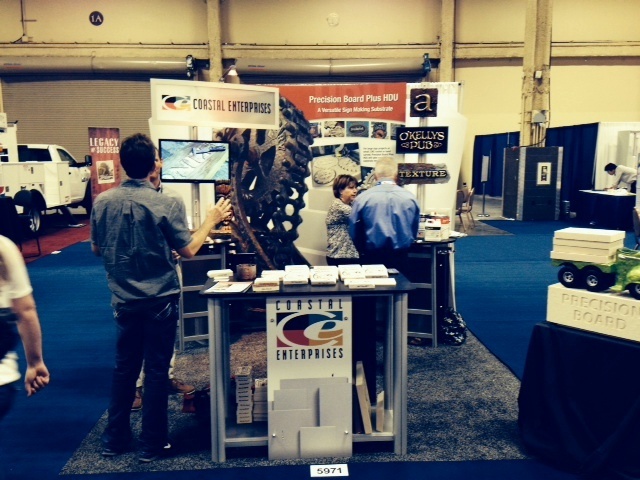 We’ll design a custom bonded step-tool from that sketch or drawing, saving you material costs and routing time. 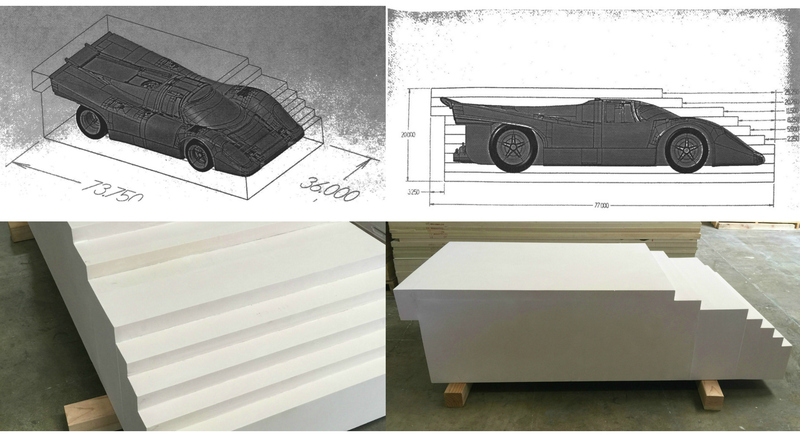 In order for Onsrud to machine the Porsche 917k shape out of the Precision Board, it would need to be 74″ x 34″ x 18″ and fabricated from PBLT-15 Precision Board Tooling Board. 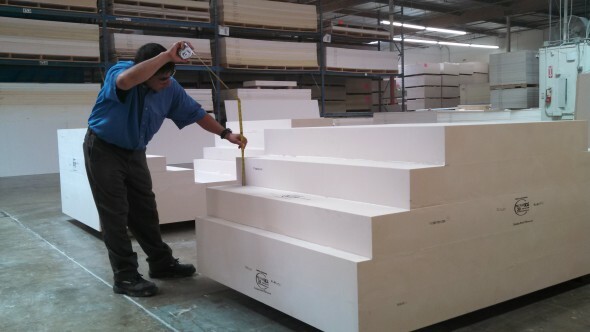 Coastal would create three bonded blocks; one for testing at Onsrud’s facility in North Carolina, one for the International Woodworking Fair in Atlanta and one for the International Manufacturing Technology Show in Chicago. Onsrud did the Porsche project in collaboration with Autodesk, using their Powermill software. The PBLT-15 Precision Board pieces were bonded together using EP-76, a two-part epoxy manufactured by Coastal Enterprises. “We add PB Granules to the EP-76 epoxy to match the density of the material when bonding pieces together” said Chuck Miller, President of Coastal Enterprises. “This allows for smooth routing straight through the material without having to take bond-lines into account. This also helps create an almost imperceptible bond-line in the finished piece and reduces issues associated with bond-line shrinkage and print,” he added. 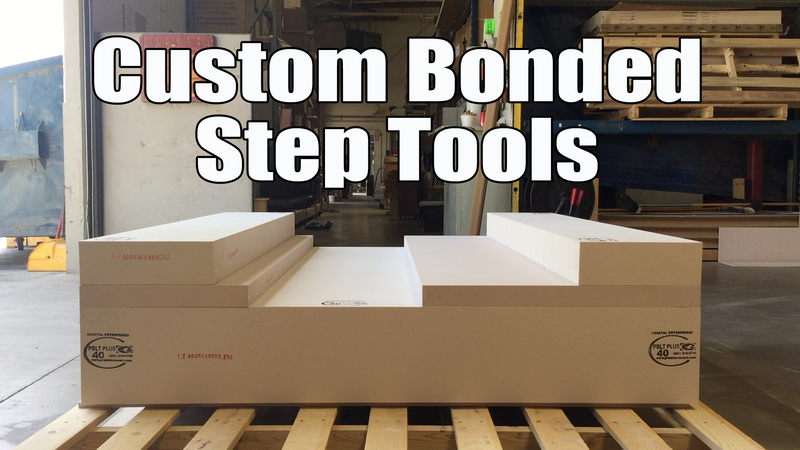 When bonding custom step tools in-house, Coastal Enterprises has three adhesive options to choose from depending on the application and project requirements. In most tooling applications we use our EP-76 Epoxy adhesive, but we also offer PB Bond 240 and PB Fastset. The three bonded blocks were shipped to CR Onsrud who took them on the road to the IWF show last August and the IMTS show last September. They sent us the video above from the live demonstration at IMTS of machining a Porsche 917k from a Precision Board bonded block. And here’s another look at that Porsche 917k prototype being routed by CR Onsrud. Of course, the fine folks at CR Onsrud had a little fun with this project, posting updates to their Instagram account throughout the process. Our favorite is the “pretending to drive the car” photo. With its roots in Aerospace, Precision Board High-Density Urethane Tooling Board is specifically engineered to meet the demands of a broad range of tooling and tool making applications. Both PBLT Tooling Board (<200º F) and PBHT Tooling Board (<300º F), possess excellent machining characteristics and dimensional stability for tool making. Precision Board HDU Tooling Board is ideal for soft tooling and rapid prototyping because it can be more rapidly machined and it is more economical than alloy or epoxy-based alternatives. 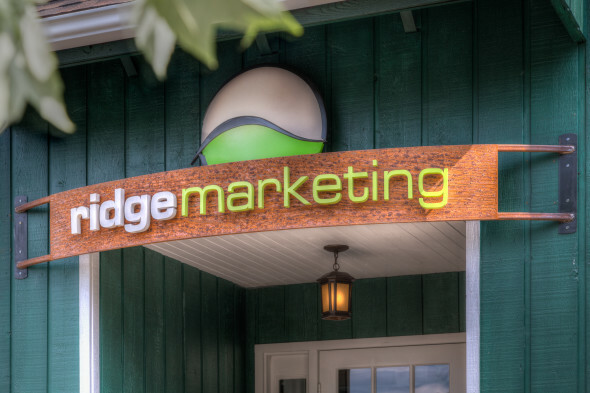 Ask about our custom-bonded blocks, fast turnaround time, and sign up for our weekly e-blasts, including the monthly Tooling Tidbit (bite-size bits of info on using Precision Board).